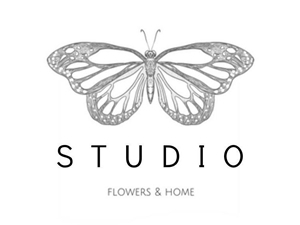 Situated on the Gourock waterfront overlooking the stunning views of the River Clyde gives us the perfect opportunity here at studio flowers to provide our clients with extraordinary floral arrangements for all events. We like to offer a very personal service, treating every event as a new opportunity to come up with something entirely unique. Bold or delicate, classic or contemporary, bright or cool designs; whatever you choose, our flowers will be a perfect compliment to your event. Special days need that thoughtful touch, and it's not just about colour; we combine shapes, textures, scents, sizes, and apply our individual styling to provide maximum impact at any gathering. Over the years we have formed many long-etablished close business relations, as such we work with event planners, lighting specialists, caterers, and venue staff to ensure our flowers are entirely appropriate for the occasion, so whatever the event is, you can rest assured that Sharon and Shona here at Studio Flowers will have all the floral arrangements under control. Organise your flowers with us and we'll make sure your guests leave with lasting memories for all involved. We take pride in delivering consistently brilliant flowers daily. Not only do our flowers look stunning, but we know that people don't like to find their flowers wilting the day after being purchased, so we hand-pick only the finest quality specimens for our shop. Sorry, but we have no upcoming events for Studio Flowers. If you know of an event taking place at Studio Flowers or anywhere else in Renfrewshire tell us about it and we'll list it on the website, for free!